Spring time is such a wonderful time of renewal and rebirth. Best of all is when all the babies start to come out. Mom and dad proud to promenade their little ones, while carefully keeping an eye out for trouble. 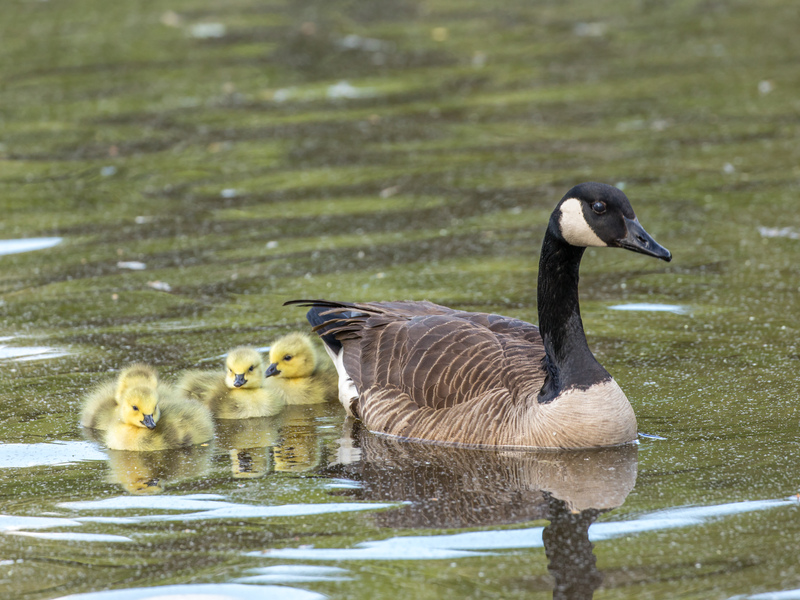 There are now two Canada goose families that have found the manor’s safe haven. Now officially a Certified Wildlife Habitat sponsored by the National Wildlife Federation, it’s as if the birds knew that our space is a protected space for them. Now adding to Zorro and Esperanza, who are still patiently awaiting the arrival of their babies (mid-may perhaps?) and now the addition of Mr. & Mrs. Bluebird, the manor is now a bird nursery. The first family to arrive are six goslings and their mother. 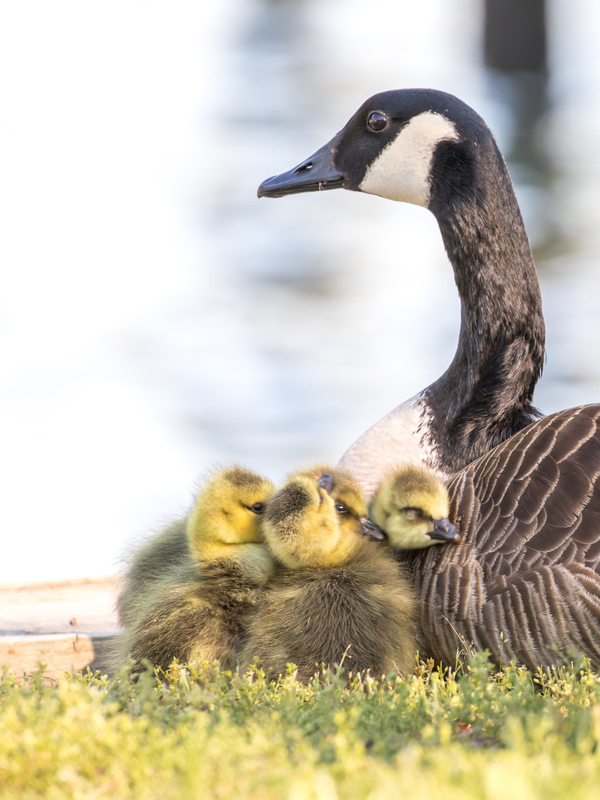 Strange that the father is absent as usually Canada geese pair up for life. Also dad is very active in protecting his little family. There is another pair of Canada geese that have been here throughout the winter, but they show no signs of nesting which is rather odd. They’re not sure what to do about the new family additions. There’s been a lot of nagging on the wife’s part but I don’t think it’s doing any good. The second family arrived today with their five goslings. I grabbed my Canon 5D Mark IV with the 100-400mm lens with a handful of corn and laid down on the grass to await their approach. Luckily they haven’t been here long, so the grass is clean and I don’t have to worry about laying in goose poo. One posed beautifully for me, and it was wonderful to enter into this little one’s world. Aw, they’re beautiful photographs. What camera do you use? I have my full camera line up on my “What’s in my bag” page. This was shot with the Canon 5D Mark IV and 100-400mm lens. Those are adorable pictures! It’s easy to capture picture that look good but to capture ones that capture emotions is so difficult! I love the 3rd picture especially! Thrilled that you liked these so Nomadosauras. Thank you. Oh, my heart melts. I’m such a duck lover. I have one pair of Mandarins since I had to downsize due to health issues. I had Black East Indies, Blue Runners, and Welch Harlequins. I love your pictures. Aw…sounds like you get some wonderful ducks in your family. Mandarins are so beautiful. Thank you so much. So beautiful and full of hope! Your photos are outstanding. We seem to have several families of goslings all being raised together in a commune-type setting. I counted 19 goslings being tended by 5 or 6 adults, all feeding together along the shore. The local red fox will surely cull the flock some. I actually would be ok with that Stephen. Plenty of Canada geese to go around. I’ve seen them foster other goose babies also which is quite interesting. Amazing! The little geese are so cute. The images are just perfect! Thank you Daniela. I love them when they are this little. 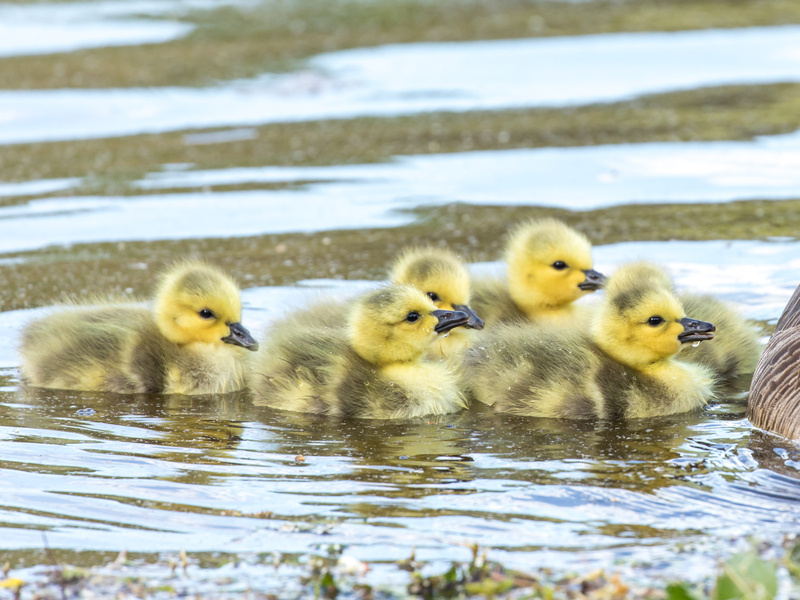 Sorry that should be goslings……..doh! 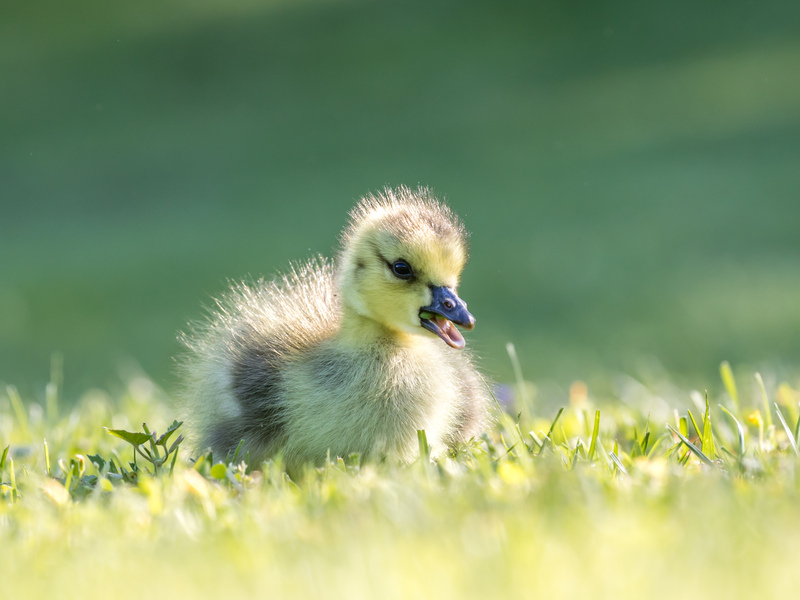 The goslings are simply delightful- your captures are beautiful Emily! You are too kind to me Joanne. Thank you! So Adorable Pictures. Great Work and Great Efforts i must say. As an Photographer i can understand that how much important it is to capture moments like these specially in wildlife. You have to be patient and calm all the time in order to capture perfect picture. I am also an Wildlife and Nature Photographer and you can have a look at my work at http://www.nitinkhanna.net/ and let me know how you find it. I would love to hear from Photographer like you.